SICK has extended its LMS Bulkscan laser scanner offering, so that more users can benefit from non-contact, continuous measurement of volume and mass throughput of bulk materials on conveyor belts. 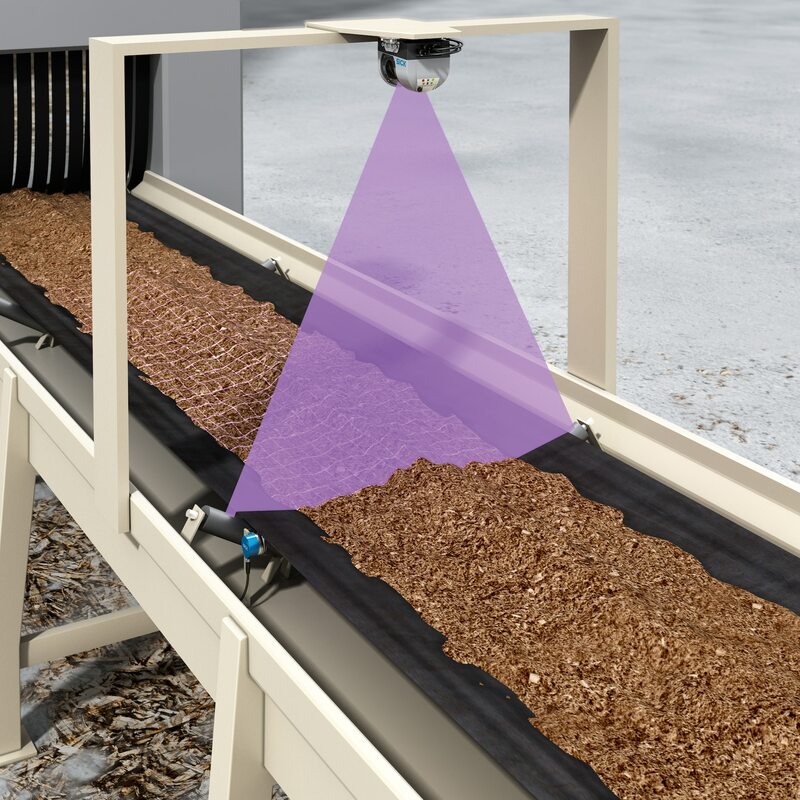 The SICK LMS111 Bulkscan provides highly-accurate, delay-free volume and mass flow measurements to maximise throughput of a wide range of bulk materials including waste, crops, fertilisers, building materials and food ingredients. Compact, and easy-to-integrate, the LMS111 Bulkscan can be designed into new lines or easily retrofitted onto existing conveyors. The SICK LMS111 Bulkscan is a cost-effective alternative to a conventional beltweigher that offers the wear-free, low-maintenance advantages of non-contact, real-time measurement. The multi-echo, time-of-flight laser scanning technology enables a reliable output of the material’s volume and mass flow. In addition, the material’s centre of gravity is continuously monitored to help avoid uneven loading and resulting belt wear. “The new SICK LMS111 Bulkscan presents a value-added alternative to a standard belt scale and is a robust and consistent performer even in dusty production environments or when mounted behind glass,” explains Darren Pratt SICK UK’s National Product Manager for Industrial Instrumentation. “By measuring the load height profile every 20 milliseconds, the LMS111 Bulkscan delivers an accurate, continuous profile measurement. It then works out the volume of the material using the belt speed which can be provided as a fixed value or input via an encoder in the case of a variable speed belt. The mass is computed from the volume and a known density of the material. “Volume is more important than mass for many production processes, making Bulkscan an ideal alternative to beltweighers in conditions where the density of material changes significantly. The LMS111 Bulkscan is easy to install and set up in a vertical (nom. 5o) alignment for accurate profile measurement. Using the pulsed, time-of-flight laser measurement system with a 190o wide field of view, the unit can be applied to the narrowest and widest conveyors. The instrument outputs three analogue signals via the BAM100 processing unit accessory, or delivers three digital signals that can be assigned to a bulk quota or for condition monitoring. A TCP/IP interface ensures easy connectivity with a PC, factory SCADA and PLC communications networks. The SICK LMS111 unit is compact, measuring only 152mm x 102mm x 105mm, so is easy to install in a wide variety of locations. It can be mounted up to 10 metres above the conveyor, ambient operating conditions range from +50oC to -30oC, and environmental protection is rated at IP67. The SICK LMS111 complements the LMS511 Bulkscan PRO which provides additional measurements and is designed for operation in more challenging dusty and dirty conditions, including the most arduous ambient conditions.